The majority of the Sunbeam butterflies of the genus Curetis feature orange and black uppersides and silvery grey undersides. When in flight, one can see flashes of bright orange as the little butterfly zips past at its typical high speed flight. The Sunbeams are quick in flight and usually skittish. It tends to return repeatedly to a few preferred perches when it is sunbathing, and at certain hours of the day, it will sunbathe with its wings opened to show the attractive orange and black uppersides. 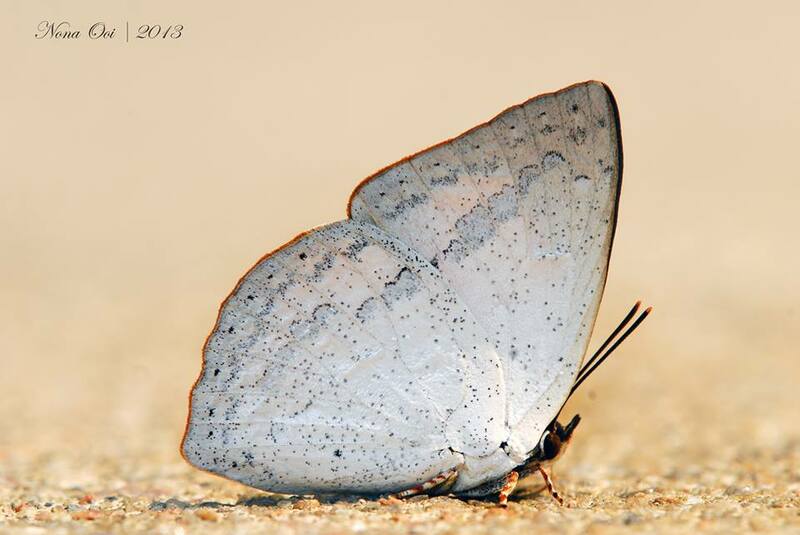 It has also been observed to puddle where it stays still and is more cooperative for butterfly photography. This shot, taken at Dairy Farm Nature Park last Saturday by ButterflyCircle padawan Nona Ooi, shows the Malayan Sunbeam puddling on the concrete pavement at the Wallace Education Centre.